Welcome to the Bissell complaints department brought to you by HissingKitty. Experienced poor customer service? 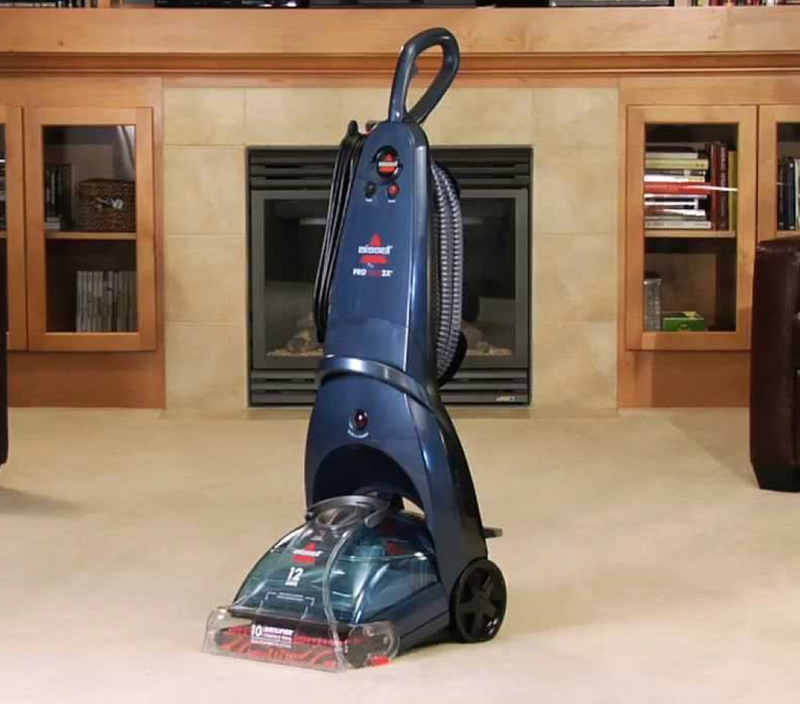 We make it easy to file a formal complaint against Bissell online. Simply use our free form and your feedback will be instantly forwarded for review. Need to contact the Bissell corporate office? We have the mailing address, phone number, and email address listed below. I bought The Bissell Pet Hairerasor I lived it I recommended to my niece and a friend and they both bought one. I have had for 3 years and it doesn't work as well anymore. It is always getting clogged pet hair is always collecting on bristles. I am always taking it aprt to clean it out. I didn't think these things wer suppose to happen. Don't say buy another I can't afford another .What can be done about this. I bought a Bissell Revolution Pro heat 2X on 11/25/18 for my daughter for x-mas. It cost me 200.00.I have the receipt. My daughter was showing it off and I have to say it works amazing. Just as she finished the 1st carpet 10x10 the brushes stopped working. - OK so it's a belt. We ordered one on line from Bissell and the service rep looked up the numbers and assisted with the order. So today, I attempted to replace the belt and in doing so was unable to align the geared belt as instructed. I noticed that the drive shaft ( small drive gear) to the motor was out of round- so it went in an oblong turn. closer and then farther away. I do not wish to attempt to place the belt on it as it is obviously not aligned and will only break the belt again. Please let me know what to do. It has been over 30 days since purchase. I broke the belt on my Upright vacuum Model 1700. You replaced it with two belts and a roller. Those two belts broke soon after installation. I have a model 1700 Bissell. A power belt broke on me and I reported it and you company graciously supplied a replacement belt and roller. was the one you previously sent the wrong belt or is the equivalent ro the 2031093. It seemed the previous was too tight..
CHRISTMAS GIFT BOUGHT AT WALMART WITH 2 YR WARRANTY ,LOST BOX AND RECEIPT I HAVN'T USED CLEANER 10 TIMES BECAUSE ALL SHAMPOO LEAKS OUT ALL AT ONCE AFTER 5TH USE. WALMART CAN'T HELP AND WE TRIED YOUR EMAIL ON CHECKING PRODUCT DIDN'T HELP. I WOULD LIKE A REPLACEMENT SINCE I'M ON FIXED INCOME AND CAN'T AFFORD 89,00 AGAIN. IT HELPS WHEN MY YORKIE HAS ACCIDENT-I HAVE TO PULL OUT BIG HOOVER CLEANER AND IT'S HARD TO CLEA. PLEASE REPLY ASAP. Love my Bissell steam cleaner. No complaints about it at all. It was a little bit on the expensive side, but you get what you pay for. I do wish that the offered sales at some point to bring the cost down though. In 2010 I bought a Bissell rug shampooed and it broke after 2 uses I took it back to a west valley store you didn't have another Bissell but you did have a Hoover I took it to customer service and the clerk started to do an exchange when the manager came out and he called the customer service to his office the agent came out and said he had to charge my card and assured me the credit would be applied back to my card I told him I would be upset if this was not credited to my account. He then gave me his name and telephone number if any problems to call him, when was not credited to call him. Low and behold it was not taken off. I called him and he gave me a fictitious information. Installed billing and they wanted a receipt however you all use the glossy paper and all the information was gone. I told her as much and because I didn't pay by check but I would send her my bank statement, she said this was not good enough so I canceled this charge you people then had the gall to threatened to ruin my credit I told her I will pay thieves. 5 years later you sent letter to my attorney. I will not pay this. My attorney told me to file a fraud charge because that is exactly what this is. The store manager (a Hispanic man) committed fraud by giving false information. I have called the collection agency and told him exactly what happened, he said he was calling kohl fraud department and I would be called by Bissell. I decided to call you but you are cowards and don't give a phone number. You are cowards and thieves. I will go on every website I can find and expose you as the thieves that you are.